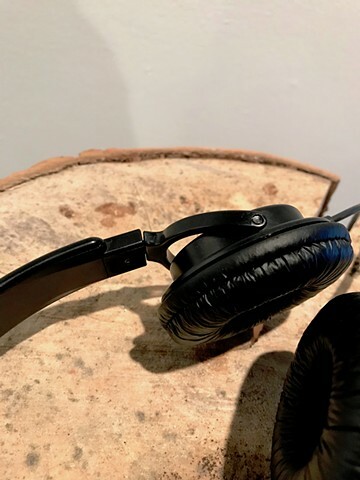 when the cells of my body would move with the wind re-animates an object by combining static display with active sound. 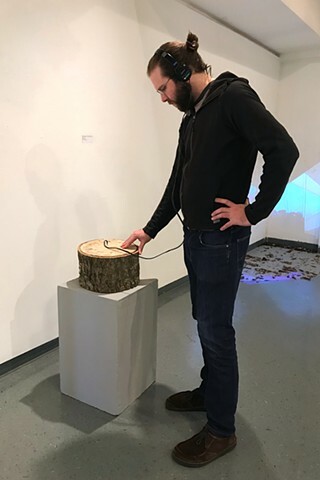 This piece pairs a section of fallen tree with audio of a tree which has been knocked off of its axis and fallen into the arms of its neighbor. The creaks, groans, squeals, and shimmies of its body can be heard as the tree that cradles it moves in the mountain winds. 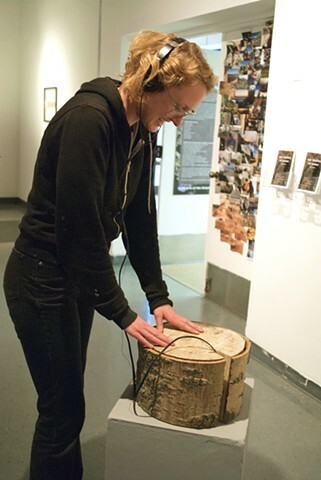 The tree-remnant in the gallery appears to be completely inert, but once a participant puts on headphones she can start to feel the cellular movements and deep sensations of what this creature’s life had been like. 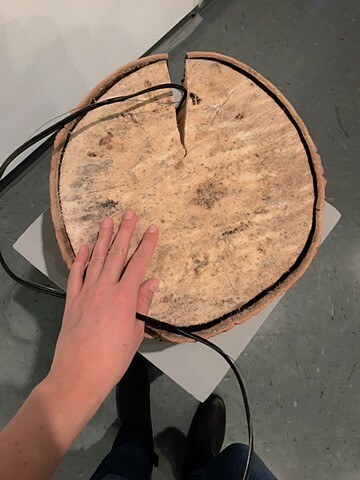 when the cells of my body gives participants the opportunity to contemplate the life of another, touch its bark and its rings, and sway with its complicated vitality throughout many stages of being.